The freemium model dominates app stores. My games are no exception. I have been listening to a book on Audible called "FREE: The Future of a Radical Price" by Chris Anderson. In it, he talks about the history of free and how that price affects certain economies. He describes how people react differently to a cost of $0.01 versus free. He talks about how people value objects differently when they pay for them versus when they are free. He talks about Moore's Law and how certain things (like digital storage capacity) double in size and halve in cost every 18 months. These topics reminded me of how I sell my mobile games. I'm sure you have all heard of the freemium model: offer a product for free but have advertisements and paid premium features. So why have this model? The main reason is to reach more people. More people will download an app or a game if it is free. 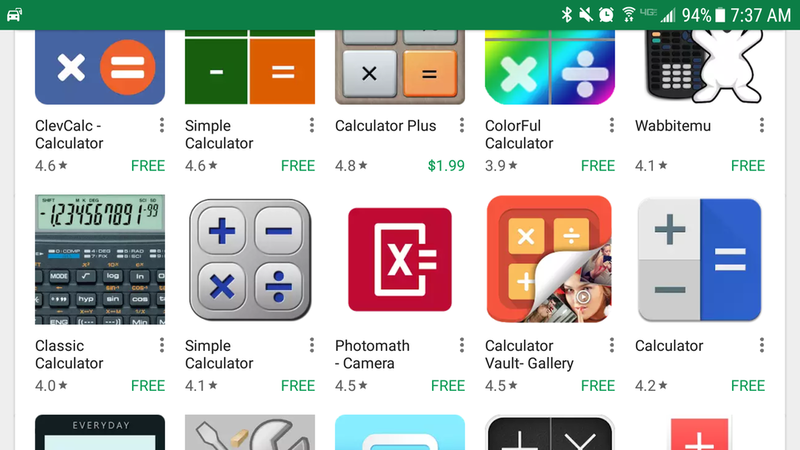 Would you download an app for $0.99 when there is a free one that does the same thing? $0.99 is almost nothing, yet we will avoid it if we can. Catch Phrase Against Humanity currently has over 7k downloads. It would be a fraction of that without a free price tag. Income is generated from ~5% of people that pay $2.99 for the premium version. That premium version removes ads, enables a new game mode, and allows for more custom phrases. The players who paid nothing still generate income from ads. I get anywhere from $1-$3 per thousand views of the ads. There is a banner ad at the top of the screen and then a full page ad that pops up after every other round. I don't get to keep all of this money. Apple and Google take 30% off the top. Does this seem like a lot? Think about what features they provide that justifies their cut. I get access to every single person with a smart phone in the world. A market of billions of people. If I can stand out from all the other apps and games, then people will find me. As of this writing, if you search "Catch Phrase" on Google Play and the iOS App Store, my app shows up 4th. That is pretty good, and probably a large reason for the downloads. I plan to use a similar freemium model for my upcoming action puzzle game, code named "Move the Blocks". There will be ads and a premium mode but how these are structured will be slightly different. Ad placement is about trying to show as many ads as possible, while not intruding on the game experience. In Move the Blocks, the screen real estate is too valuable to have a banner ad; as in, there is information I need to provide to the player on all screen edges. There will be a full page ad that pops up every 3 levels or so. Each level could last 10 seconds, or it could take the player a few minutes. In this case, I could also base it on time. If one level is taking the player a long time, then I could show an ad directly after they complete it. I could also factor in level retries. If they fail a level 5 times in a row, then I show an ad. That begs the question: if a player is struggling with a level, do I really want to punish them with an ad? That is the kind of balancing I need to get right. There will then be a premium version of the game that players can upgrade to. The upgrade will remove ads and unlock more levels. The key here is to give the player just enough gameplay that they want to continue playing more levels by buying the premium version. This model is definitely the way to go as I keep making small mobile games. If I move into the PC gaming market, then I will adapt to the best pricing model on that platform. For now, everyone can enjoy my games for free.